Arild Kjeldstad of Wintershall showed the results of the Balderbrå well 6604/5-1, a deepwater gas discovery in the Norwegian Sea to the audience at NPF’s Exploration Revived Conference in Sola. The Balderbrå discovery is located in PL 894 on the Vigrid syncline not too far from the Aasta Hansteen field in the Norwegian Sea. 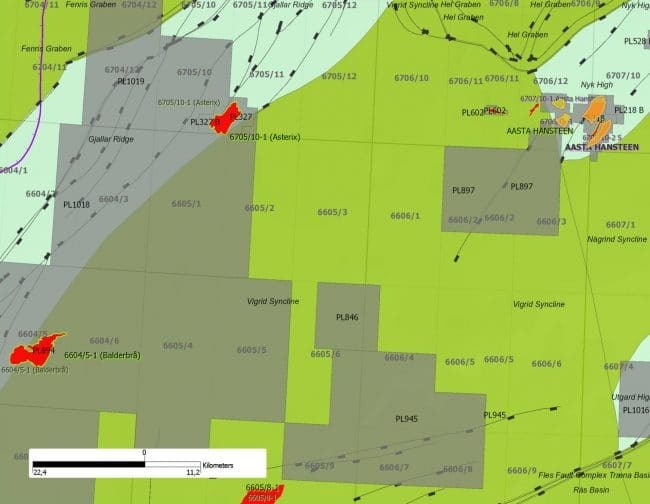 Preliminary estimates of the size of the discovery are between 7 and 19 billion Sm3 of recoverable gas and between 1 and 3 million Sm3 of recoverable condensate. The reservoir consists of late Campanian to Maastrichtian deep marine sandstone turbidites. These sandstones are draped over rifted fault blocks and covered by a Paleogene seal. The source rocks are Cretaceous shales. The prospect is supported by a seismic amplitude brightening on the top of the structure. 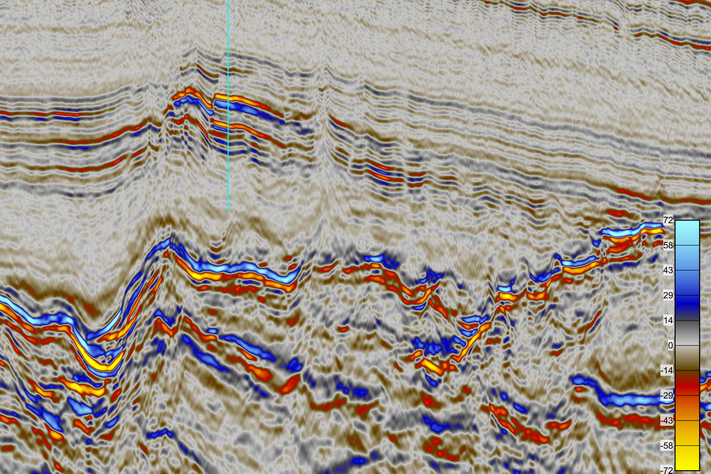 Well 6604/5-1 encountered three gross gas columns, totalling about 190 m, of which the reservoir makes up 90 m distributed between three different sandstone zones in the Springar formation, with mainly moderate to poor reservoir quality. No gas/water contact was encountered in the well. The Springar 1 is only 6.3m thick, Springer 2, 56m with laminated turbidites and debrites of varying quality and permeability. Springar 3 is 130m thick with high average porosity but variable permeability. The Springar sandstones are not in pressure communication. Since a gas down to situation was encountered in the well there is potential for a gas column of more than 150m in the Springar 2 and 3 zones. Wintershall has another prospect drill ready. Gullstjerne is a Balderbrå look-alike with Springar 2 and 3 reservoirs, in an amplitude-supported trap with shut-off on the eastern flank. The structure is a robust closure and therefore Wintershall considers the chance of success for Gullstjerne quite high. Gullstjerne will be drilled in 2019 in the same drilling campaign as a Balderbrå appraisal well. 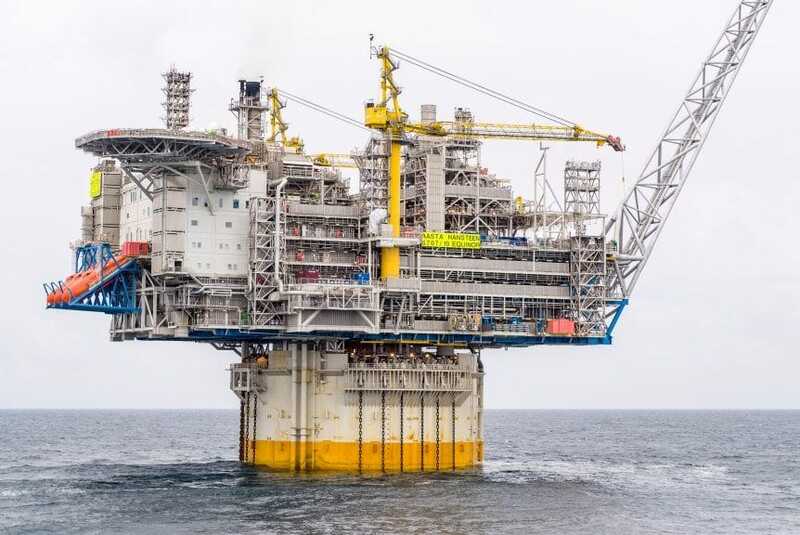 Wintershall hopes to develop these together as a tie-back to Aasta Hansteen.